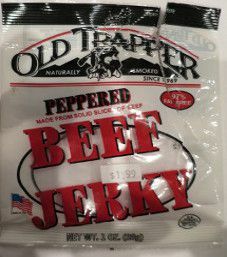 This will be the third review on Old Trapper peppered flavor. 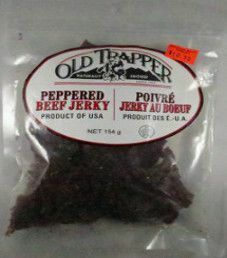 This bag was purchased at a convenience store in Norval, Ontario, Canada, in November 2014. 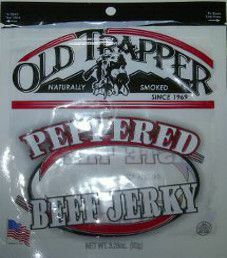 Update December 2014: Open this link for a more recent jerky review on Old Trapper Peppered Beef Jerky (Recipe #3).